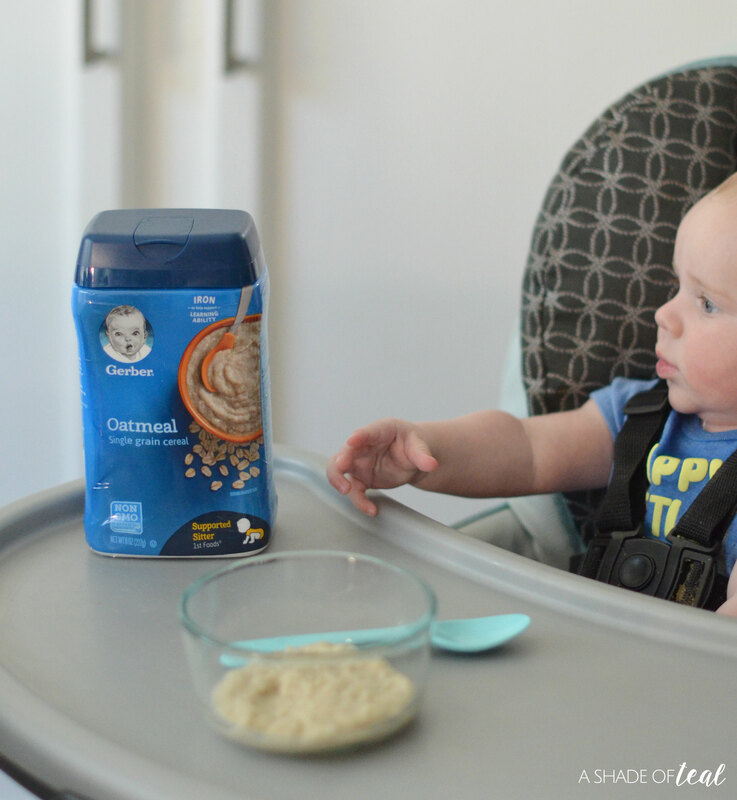 Starting a baby on solids can be exciting and intimidating all at once. 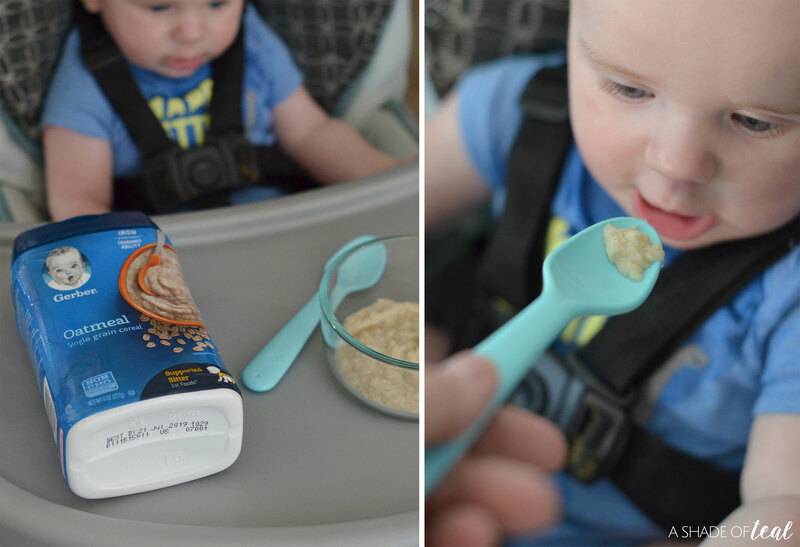 I know with both my daughters I was always worried how they would do yet excited for the change, but now that my youngest is ready to start solids I know exactly what to do. So through experience I have realized what the perfect first food is for any baby, Gerber® Infant Cereal! My little guy had been eyeing food for some time now, I’m sure it doesn’t help that he has 2 older sisters to watch, but I was excited to hear from my pediatrician that I can start him on solids now. 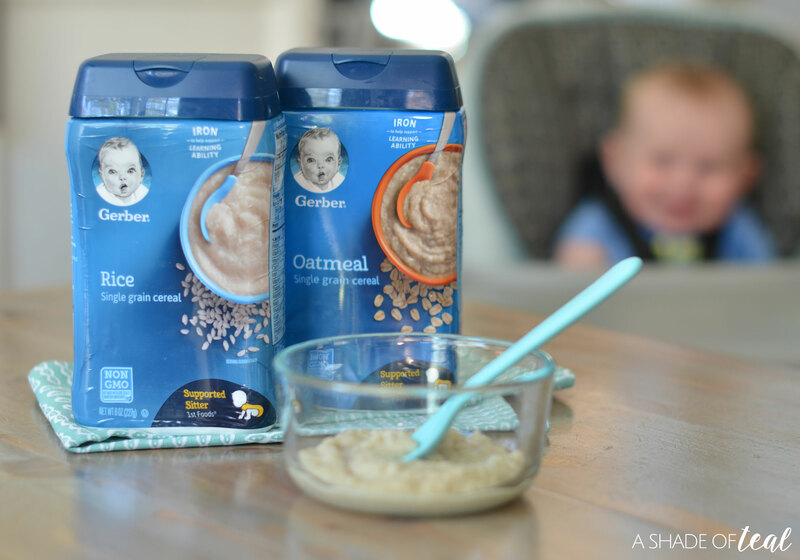 With my daughters I tried several things, but now with my son I know to start with Gerber® Infant Cereal. My reason, well with Gerber® Infant Cereal it’s a great source of Iron, along with other essential nutrients such as Zinc, Calcium, Vitamin C, E and six B Vitamins. 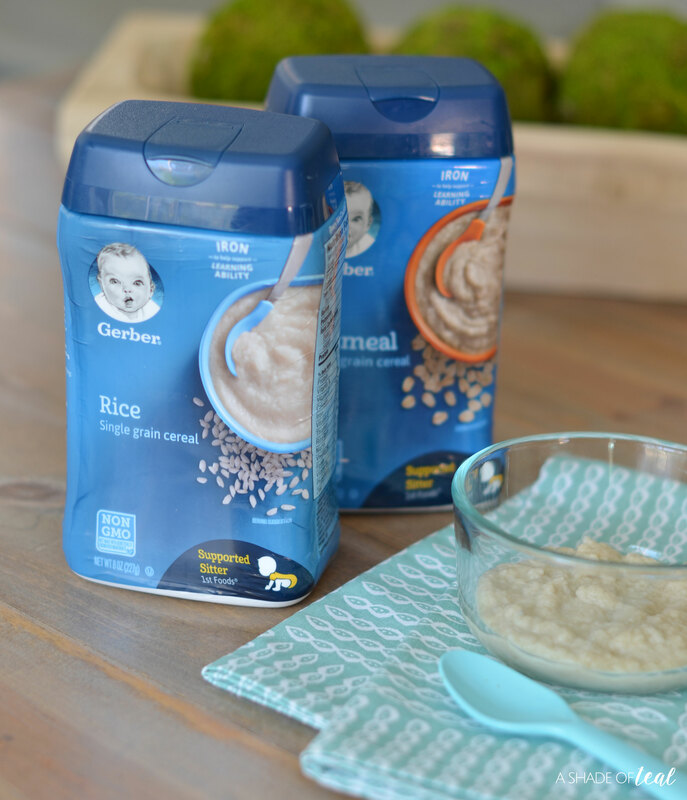 Just two servings of Gerber infant cereal meet 100% of your baby’s daily iron needs and right now, your little one needs iron to help support healthy brain development! My little guy was SOO ready to start solids! 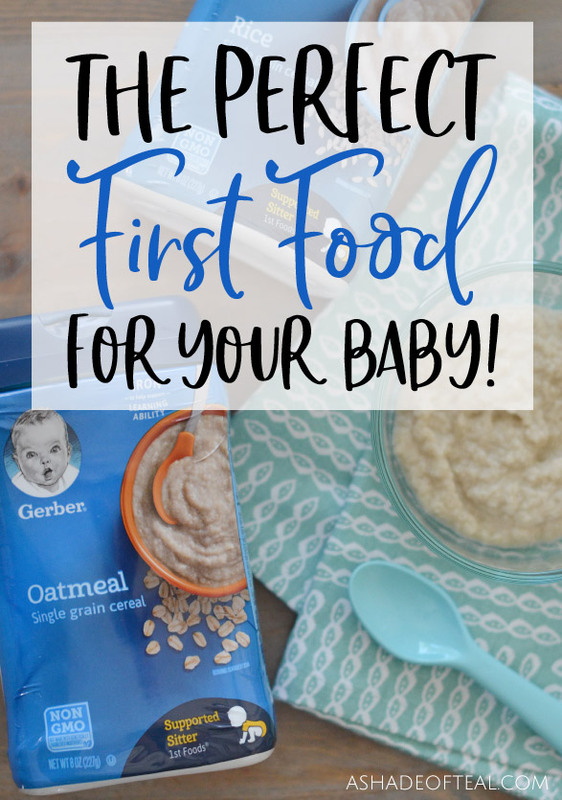 It’s like he knew exactly how to eat which made introducing solids that much easier! But, also knowing that Gerber® Infant Cereal is Non-GMO: Not made with genetically engineered ingredients and has no artificial colors or flavors is a plus. 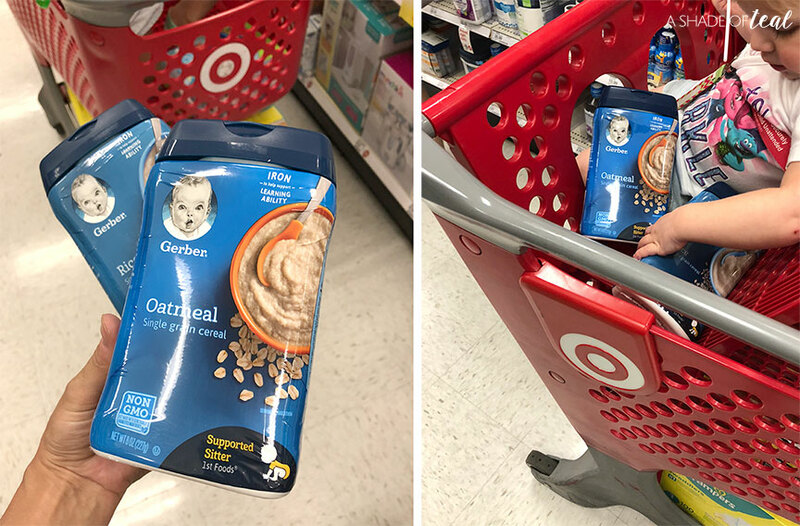 Best part yet, you can pick up Gerber Infant Cereal at your local Target, and you can also save on any Gerber Cereal at Target by using the Cartwheel app to redeem! 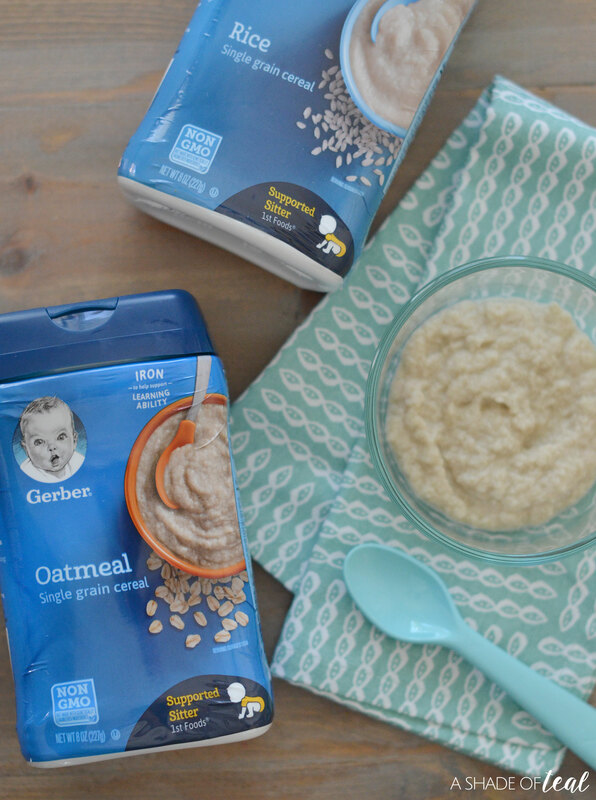 So if your baby is ready to start introducing solids into their diet then start off right with Gerber® Infant Cereal! Don’t forget to shop at Target with the Cartwheel offer!